Kerala, sobriquet as God’s Own Country, is blessed with abundant of natural wealth. Famous for its evergreen forests, this region is known for its abundant wildlife. The well maintained national parks and sanctuaries have win over the hearts of wildlife explorers. With Kerala wildlife tour you get to explore the best of the Indian biodiversity! Upon arrival at Delhi International airport, you will be met and greeted by eLand Holidays representative. Thereafter you will be transferred to your pre booked hotel for check-in. 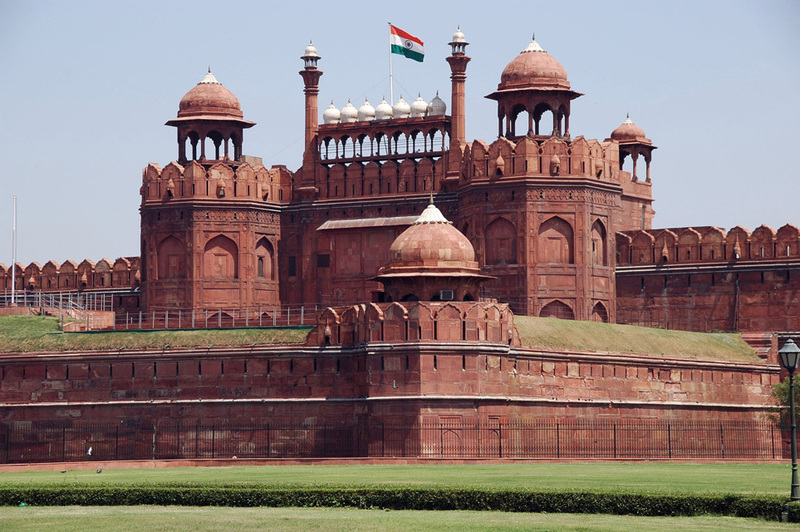 India’s capital and a major gateway to the country, Delhi is a bustling metropolis, which successfully combines in its folds - the ancient with the modern. Amidst its spiraling skyscrapers the remnants of a bygone time in the form of its many monuments stand as silent reminders to the region’s ancient legacy. Breakfast will be followed by the sightseeing excursion of the capital. The first half of the excursion will start from the old lanes of Delhi; you will visit Raj Ghat, a memorial to Mahatma Gandhi – Father of the Nation. 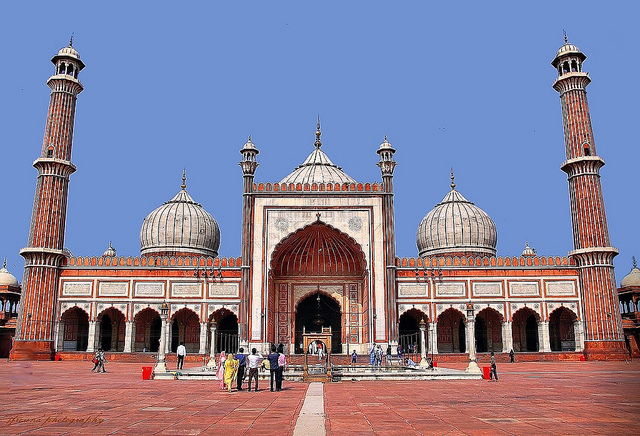 Driving past the majestic Red Fort, you will continue toward Jama masjid, one of the Asia’s largest and beautiful mosques. Surrounded by a colorful bazaar this place seldom witnesses quietness. Post lunch you will explore imperial Delhi. Altogether a different world in the high streets of New Delhi will amaze you. 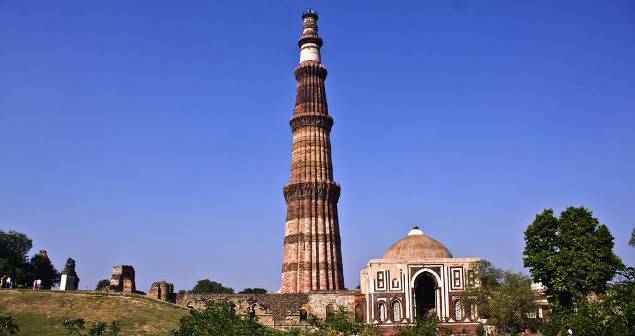 The grand Delhi tour includes a visit to the heritage site of Qutub Minar, the tallest stone monument in India. 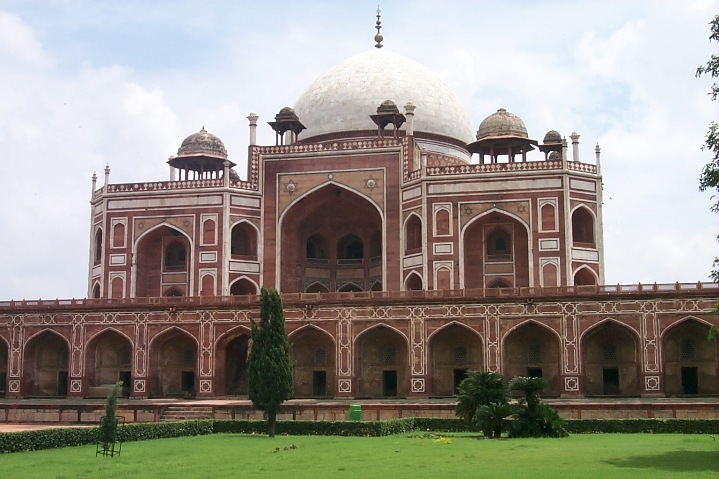 Later visit Humayun’s tomb. 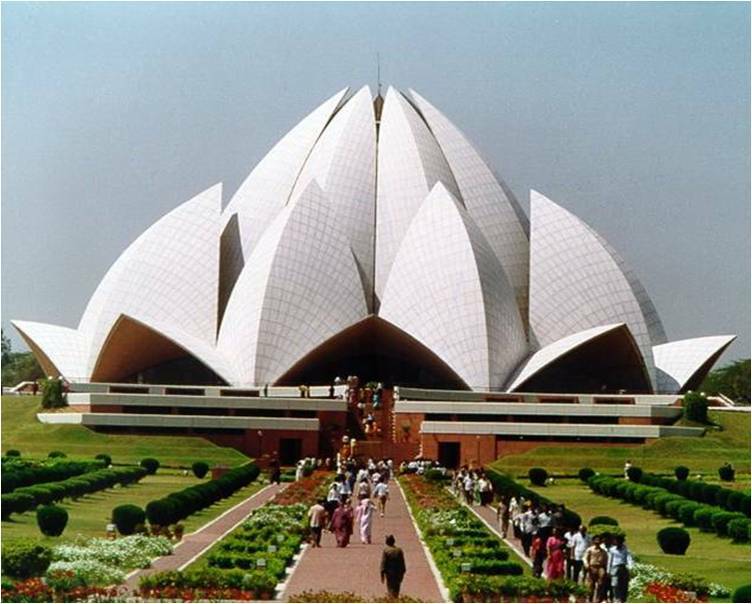 It is a marvelous monument designed in the Indo-Persian fashion. Drive past India Gate, the Parliament building and the Rashtrapati Bhawan - the President’s residence. After a relaxed morning breakfast at the hotel, you will be transferred to the airport by our rep to board flight to Bangalore. On arrival in Bangalore you will be transferred to your pre booked hotel. Bangalore is the capital of Karnataka and the seventh largest city of India. 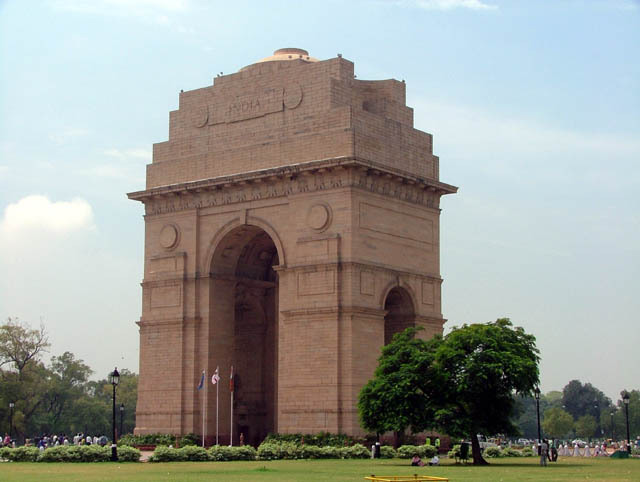 Adorned by numerous beautiful gardens this city is renowned as Garden City of India. In present day, Bangalore has the most number of IT industries in India and so known as the silicon valley of India. The ancient city was founded in 16th century by a local chieftain Kempe Gowda. Its magnificent palaces, beautiful gardens and various government buildings are the major attractions of the city. Bangalore has numerous historical sites, gardens and other tourist places which are worth visiting. Cubbon Park - Located in the heart of the city this beautiful park is spread over an area of 300 acre. This was built by Lieutenant General Sir Mark Cubbon in 1864. It has a public library, a museum and a playground for children. Government Museum - It was established in the year 1896 and has a rich collection of ancient weapons, stone carvings, pottery and paintings. Ulsoor Lake - Located on the northeastern part of the city, this picturesque lake offers boating facilities and a popular hangout spot. 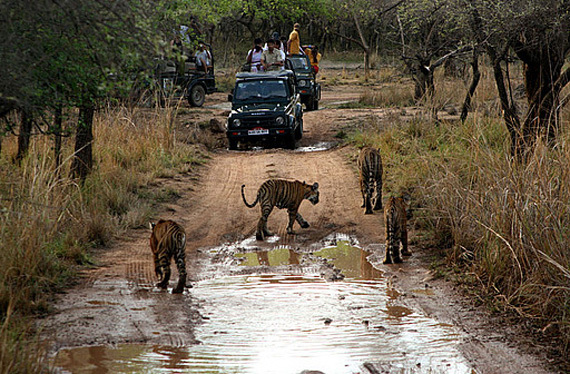 Early in the morning you will be driven to Nagarhole National Park located at a distance of 80 kilometers from Bangalore. The Nagarhole National Park lies between the Kabini River and the Bandipur national park and covers an area of 644 sq. kms. Recently Nagarhole National Park has been renamed as Rajiv Gandhi National Park after the late Prime Minister of India. Nagarhole is an amalgamation of the Arikeri, Hatgat, Nalkeri and the adjoining Mysore reserve forests with soothing streams, wondrous valleys and fascinating waterfalls. With excellent wildlife watching facilities Nagarhole National Park is popular with adventure seekers and wildlife lovers alike and is perhaps one of the best wildlife preserves in India. Explore the wilderness as your jeep safari takes you on a wonderful trip. overnight halt at the local lodge. After an early morning breakfast at the lodge, you will be driven to Biligirirangana Hills or BR Hills (100 km - 02 hr). Located at an altitude of 5,091 feet, BR Hills are appealingly set amid the Cauvery and Kapila Rivers. This hill stretches from north to south for about 16 Km. Festooned with numerous deciduous trees, this region is marked by the presence of quite a colorful wildlife which can be spotted wandering amidst the long grasses and tall trees. In afternoon, explore the area while trekking in BR Hills. Overnight will be quite exciting as you will get to spend it in tents. After a nutritious morning breakfast, proceed for an exciting wildlife viewing of the region. Here in mammals you can spot the elephant, tiger, leopard, wild dog, jungle cat, sloth bear, civet, mongoose, Malabar giant squirrel, porcupine, common langur, bonnet macaque, wild pig, gaur, sambar, spotted deer and the four-horned antelope. Relax for a while as this will be followed by bird watching. The variety of birds consists of The Malabar whistling thrush, yellow throated bulbul, paradise flycatcher, racquet-tailed drongo and the crested hawk eagle are some of the birds found here. There is also an amazing variety of exotic butterflies. An overnight stay in the tents follows suit to round up the day's activities. Take an early morning drive to Bandipur National Park (60 km - 01 hr). Bandipur lies in the southern state of Karnataka & covers a forest area of 865 square kilometers. Located within the forest belt between the Western Ghats & the Nilgiri Mountains, Bandipur National park is one of the many reserves of the region. Most of these reserves are demarcated more by political boundaries than by truly physical ones. It was declared a National Park in 1974 & is one of the original 9 tiger reserves under the watchful eye of "Project Tiger". On the morning of the ninth day you get a chance to unveil natural world of one of the most fascinating wildlife centers - Bandipur National Park. As you penetrate deep into the forests through the well laid - out roads, you can almost hear the mute conversations between the animals and the trees. They say that the flora and fauna here exist in perfect harmony. And it is because of this that the spot here was chosen as a centre for the Project Tiger. And since then the tiger population has almost doubled! There's a lot, lot more to discover. Peafowl, patridges, quail, hornbill, giant squirrel, dhole (wild dog) elephants, sambar, barking deer…. An endless variety of wildlife flourishes here. And the trees sheltering them are even more beautiful. Teak, rosewood, hone, mathi, bamboo and sandal are the most common trees found here. The day ends with an overnight stay in the resort. From Bandipur, you will move towards your next destination Ooty. After covering a distance of 80 km you reach a place known for its splendid natural beauty and scenic location. 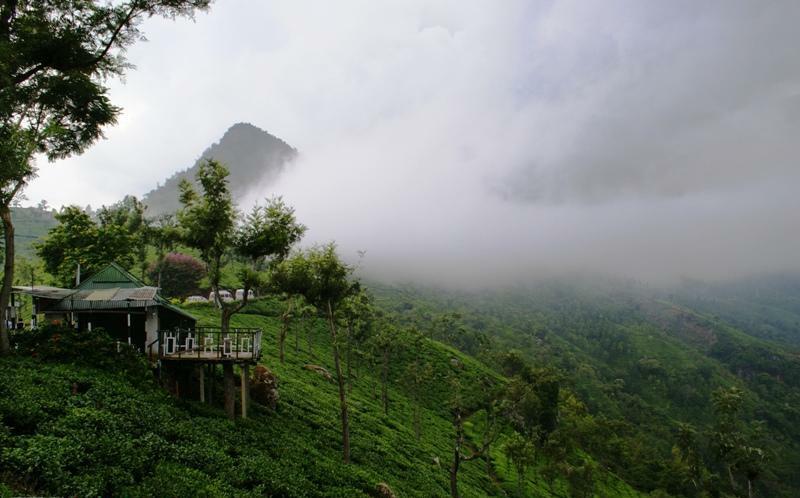 Better known as the ‘Queen of Hill Stations’, Ooty is the capital of Nilgiri District which is an unmatched tourist destination of the country. During the colonial power, this place was the most favorite getaway for the British families. An added attraction for the tourists is the mountain train journey on a ratchet & pinion track which commences from Kallar, near Mettupalayam & wends its way through many hair-raising curves & fearful tunnels & chugs along beside deep ravines full of verdant vegetation, gurgling streams & tea gardens. Afternoon city tour of Ooty visiting Rose Garden-Maintained by Department of Horticulture, this is a must visit site for all nature lovers. The garden has five terraces that have more than 2800 varieties of roses. Ooty Lake-This artificial lake was built in the year 1825 by Mr. John Sullivan, the then district collector. The lake, around 2.5-km in length and 40 feet deep, offers options for both boating and fishing. The Doddabetta Peak is situated some 10 km from Ooty. It is at a height of 2623 m and is famous as the highest peak in Nilgiri. Started in the year 1848 Government, Botanical Garden covers an area of 22 ha and is located at a height of 2250 m above sea level. The garden has been decorated with trees that have been collected from all over the world. It is home to rare species of trees like the Lily Pond and the Italian garden that bear colorful flowers. It also has the Cork tree, which is one of its kinds in India. Other attractions are the monkey-puzzle tree, called so because monkeys can't climb it and a 20 million year old fossil tree trunk. In the morning you will take on a drive to Eravikulam National Park while visiting Munnar. The rolling hills, the lush mountain & the breathtaking scenery here is ideal for trekking & long mountain walks. 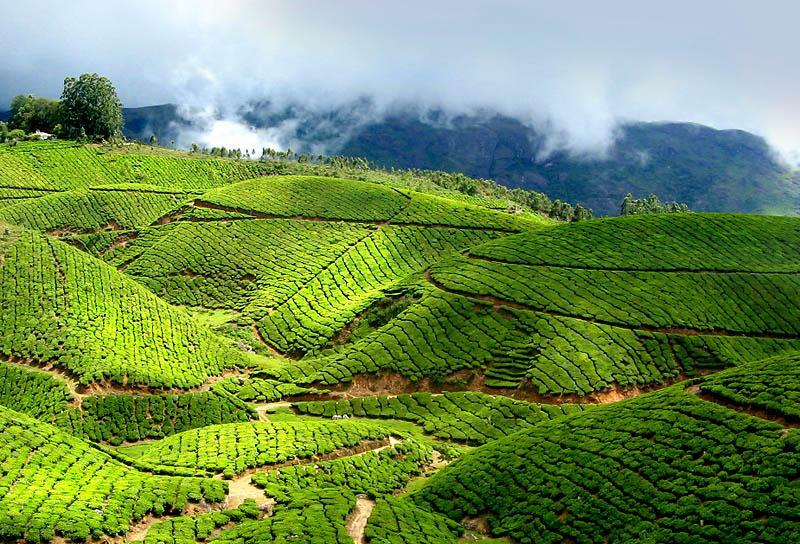 Munnar is famous for its tea estate spread like a green carpet over a large area. Later the excursion will proceed to Eravikulam National Park, set up for the preservation of the endangered Nilgiri Tahr. Park has the largest known population of Tahr existing in the world & also shelters Atlas Moth, Elephants, Sambhars, Gaurs, Lion-tailed Macaque, Nilgiri, Langur, Tiger and Leopard. It exhibits the breathtaking natural splendor of rolling grasslands & exotic flowers. Anamudi, the highest peak south of Himalayas, towers over the pride of the sanctuary. 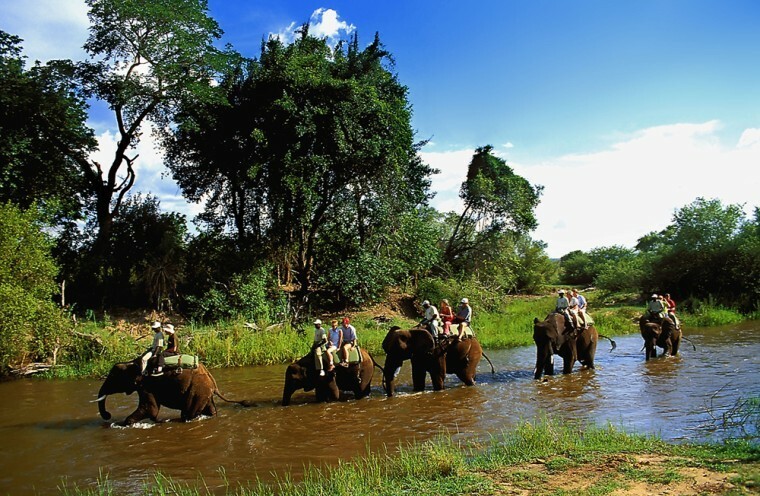 After a fresh morning breakfast, you will visit the national park for wildlife sights. Later the trip proceed to one of India's most fascinating natural wildlife sanctuaries, Periyar (Thekkady), where one can watch wildlife at close range. The flora & fauna are exclusively rich, vast & varied that it does not bear semblance to any other wildlife sanctuaries in the world. The very sound of the name conjures up images of elephants, unending chains of hill & spice scented plantations. A cruise through the waters of Periyar lake around which the wild -life sanctuary is situated, offers a soul stirring pleasant experience. Later we explore the sanctuary to experience the beauty & ecological pattern. A morning and evening boat cruise is the star attraction of the sanctuary with the whole concoction being made too good to neglect as one is witness to the regaling sight of wild elephants pleasing themselves in the lake. The sanctuary is one of the best in the country for watching & photographing wild life. Notable among the inhabitants are the tigers, majestic Asiatic wild elephants & distinctive Nilgiri Langur. Bird watching is also a good option to spend your evening exploring the colorful natural species. Early in the morning, you will be driven to Kumarakom (135 km - 04 hr), a cluster of tiny islands, on the exquisite Vembanad Lake in Kerala. Kuttanad, the 'Wonder Land' believed to have been lying below the sea level, sprang out into the marshes when the sea receded later. The land of lakes, canals & paddy fields, Kumarakom transports you to sheer ecstasy. 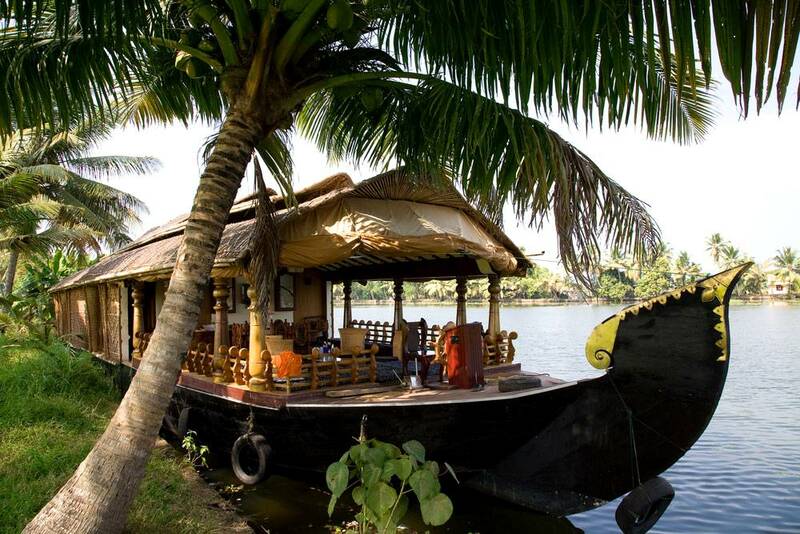 Holiday on the houseboats, traditional Kettuvallam, are an out-of-this-world experience at Kumarakom. Furthermore Vembanad Lake is home to several types of marine life exclusively the Karimeen (Pearl Spotted Fish), Chemeen (Prawns) & Konju (Tiger Prawns). Get ready to explore a part of the God’s Own Country Kerala on the 15th day. 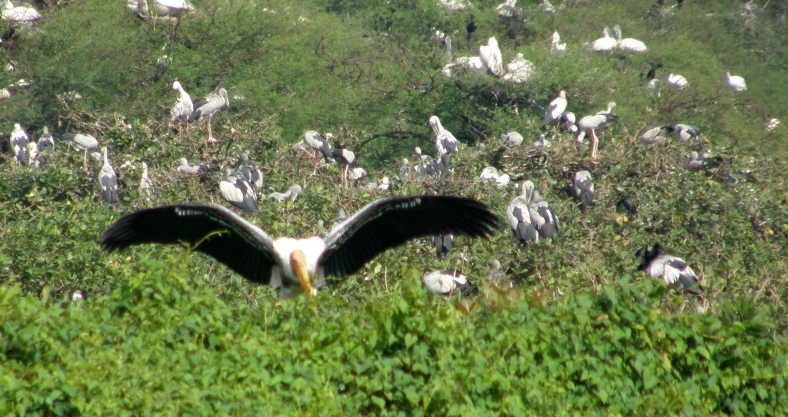 In the morning you will visit the charming Kumarakoram Bird Sanctuary. There are two seasons for birds between October & February there are cormorants, teals, & other ducks & from February to July there are darters (snake birds), night herons, egrets, & Siberian storks. It also has golden backed woodpecker, crow pheasant, white-breasted water hen, tree pie etc. Later we board the houseboat, locally called Kettuvallam, cruise around beautiful backwaters of Kumarakom to Thothapalli to observe and experience the powerful silence of nature. Discover how the villagers spend their daily life along the backwaters. Overnight will be spent at the houseboat. The last day of the Kerala wildlife tour will be culminated at Kochi as you will be driven to this lovely place early in the morning. Kochi is a lovely place replete with lush greenery and the sheer beauty of the backwaters. On arrival at Kochi, you will check in at your pre booked hotel. Later enjoy full day city tour of Kochi visiting -Mattancherry Palace. This palace was built by the Portuguese in 1557 and over the years has become an important tourist spot. Willingdon Island, This is a manmade island and it is one of the modern ports that serve Kerala. It is made up of the materials that were dredged when the Cochin port was being deepened. Chinese Fishing Nets, These are the fixed installations that hold the nets horizontally across the water. Each of these is about 10 meters in height and each is handled by a team consisting of six fishermen. This unique method is a must see when you visit Cochin. Located two kilometers from the Fort Cochin, Church of Saint Francis is dedicated to Saint Antonio and is one of the main living historical monuments. Later in the evening you will be transferred to the airport by our representative to board flight for your onward destination.